Of all the religious celebrations that I opt out of, Easter seems one of the strangest. Can someone enlighten a FGV with atheistic tendencies? 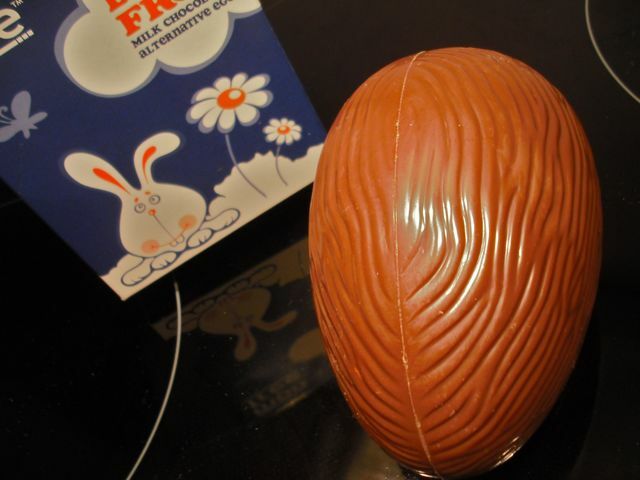 Why do people imagine a giant bunny is hopping around leaving chocolate eggs in nests? As a naive child in Australia, I would fashion beach towels into makeshift nests and settle in for a night of anticipation. Would the Easter Bunny visit my ramshackle egg depository? I am thankful those days (and sleepless nights) are long gone as I put my trust in more logical ways of thinking. However, the amusing twist in this bunny tale is the fact that I still adore devouring chocolate eggs whenever a vegan version makes its way into my FGV nest. Cue the wonder and talent of Moo Free Chocolates! 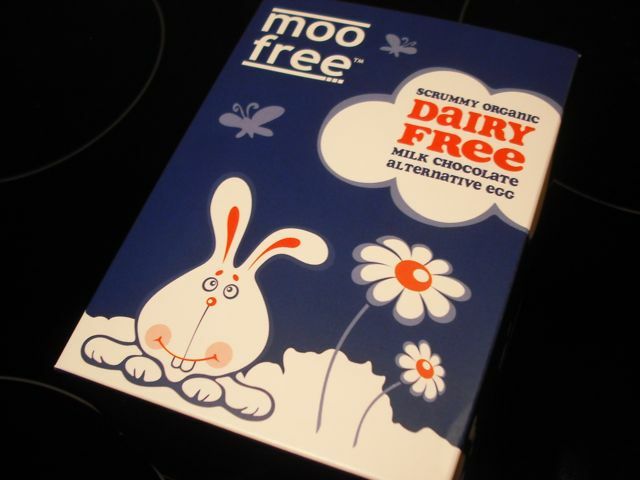 Moo Free are the producers of the finest dairy-free, milk chocolate alternative anywhere in the world. Hands down. I have sung their praises in the past and if they keep manufacturing such high quality vegan fare, I’m confident I won’t stop warbling anytime soon. The perfectly-shaped confection is housed in a sturdy and colourful box adorned with the Vegan Society logo. My child-like excitement at peeling back the foil wrapper surrounding the egg was palpable. Just call me Charlie! 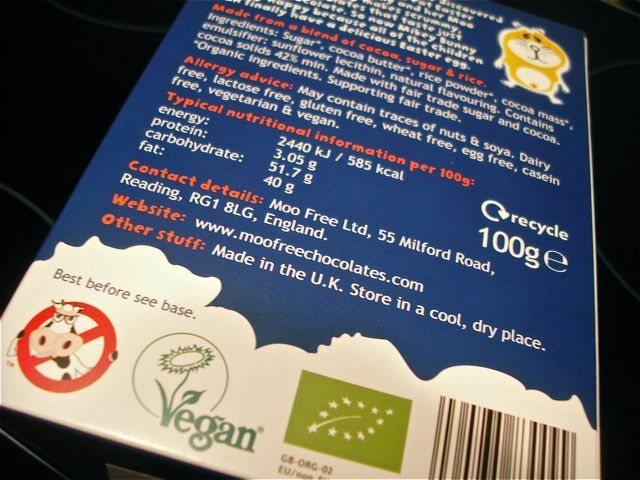 The chocolate is of the usual Moo Free standard… which is market leading. The amount of time between breaking it apart and the moment the final crumbs were scavenged flew by so quickly. The consistency, flavour and aftertaste can only be described as perfect. You can buy the Moo Free egg online or talk to your local health food provider. The company have informed me that sharp-eyed shoppers might also find success in selected Waitrose stores. Now, where is that silly rabbit with my next delivery? I am sooo getting one of those, thanks for blogging about them! I have a bar of their chocolate to try but I’m never sure how nice vegan milk chocolate will taste so thanks for your recommendation!